As refined industrial heating elements manufacturers in India, Chhaperia journey continues into the core of success. From massive productions to minuscule, the momentum in bringing out the best of the best from Chhaperia is on the pace. The industrial installations are always challenging, and through we encounter challenges while manufacturing or installing, we continue to storm the market with our products. Industrial heaters are widely used for thermal heating and fluid heating hence they must withstand the high temperatures. Chhaperia designs accordingly. Each metal will have various melting points, so their design varies based on the application. 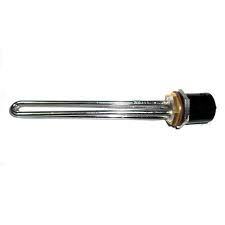 With the valuable assistance of skilled team of professionals, we are offering an excellent quality of Industrial heating elements. The offered inclusive of impeccable products like Electric Heater, Hair dryers, Hand dryers, Snack makers, Room heaters, Manufacturing of this range is commenced utilizing the finest raw materials and latest machines, as per the set industry guidelines and standards. Owing to this, the offered products is known to have a excellent performance, service life, precision and is highly user friendly in nature. In addition, the provided range is marked at the best rate possible, for maximum client satisfaction. The highly futuristic infrastructure what we own has been equipped with machinery and amenities, we also offers custom built industrial heaters designed and manufactured after ascertaining the specific demands of customers, Whatever your heating requirements, Chhaperia is ready to provide optimum solutions with utmost speed and efficiency. Meeting the world-class standards and industrial requirements, we lead as industrial heating elements manufacturers in India. Our clients have bonded with us by experiencing our quality service. This shows our potential and why we are leading in the industry as electro manufacturers.